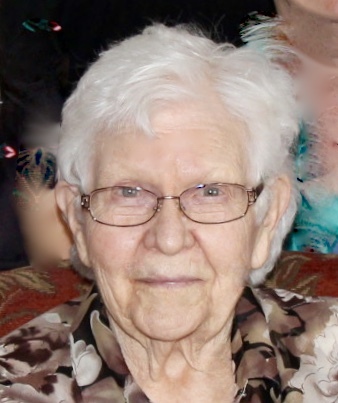 Evelyn Mae Lois (Terrio) Hilmas passed away Tuesday, March 26, 2019, at New Journey Residence in Eveleth, MN. She was born March 30, 1928, in Mountain Iron, MN, to Eino and Mayme (Antilla) Terrio. Evelyn thrived on challenges and enjoyed learning. In 1946 she was valedictorian of her Mountain Iron High School Class and was the top student in her class at Hibbing General Hospital School of Nursing in 1949. She married Douglas E. Hilmas on August 20, 1949, at Messiah Lutheran Church in Mountain Iron. After raising their family in Virginia, Doug and Evelyn retired to Lake Havasu City, AZ, and finally built a home on Sand Lake in Britt, MN. 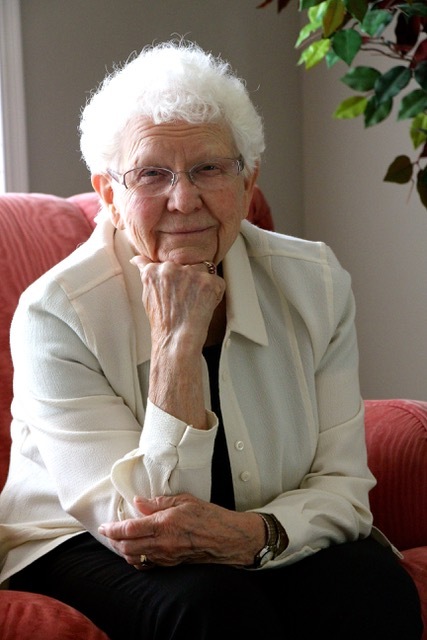 For many years, Evelyn worked as a registered nurse in Virginia and Buhl. She had a passion for caregiving and would drop everything to aid family and friends. She was a longtime member of the Pike Apostolic Lutheran Church, serving as organist. Evelyn loved music. She played the piano, the organ, and sang daily. 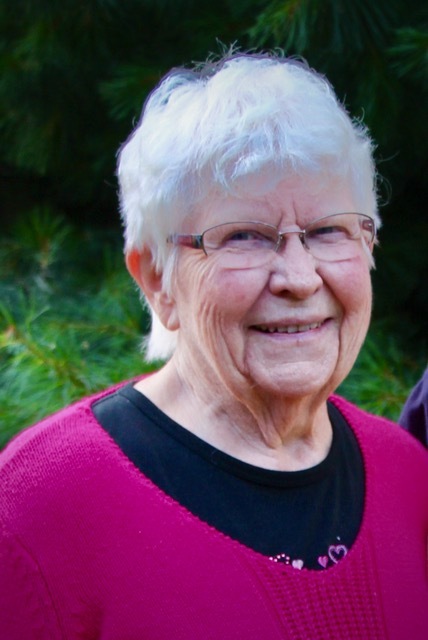 She also enjoyed reading, antique shopping and furniture refinishing, as well as outdoor activities, including camping, fishing, snowmobiling, boating, and traveling. Evelyn challenged herself to hike Isle Royale...50 miles when she was 50 years old... and "completed the hike without a helicopter rescue." She often said, "My most satisfying job has been being a parent and seeing my children grow to be wonderful, Christian adults." Evelyn is survived by her children: Bob (Barb) Hilmas of Virginia, MN; JoAnn (Launny Bollinger) Hilmas of Quitman, TX; Marge (Rich) Hanna of Montrose, CO; and Mary Lynn Busciglio of Rochester, MN; grandchildren: Elizabeth, Rachel (Billy), Emily (Bill), Naomi, David (Tetyana), Robert (Elizabeth), Bryan, and Megan (Isaiah Faas, Fiancé); great-grandchildren: William, Lucena, Evelyn, Ayden, Angelina, Emerald, Alex, Sophia, Evan, Jasmine, McKenzie, and Maevelyn; sister JoAnn (Charles) Pernu of Torrance, CA; numerous nieces, nephews, extended family and friends, including special friend Bev Wiermaa of Ely, MN. She was preceded in death by her parents, husband, sister Arlene Bailey, and grandson Travis. Funeral Services will be held at 11:00 a.m. on Monday, April 1, 2019, at the Bauman-Cron Funeral Home in Virginia, MN. . Rev. Carl Lamppa will officiate. Visitation will begin one hour prior to the service. Interment will be at Greenwood Cemetery in Virginia. Evelyn's family wishes to thank the staff at New Journey Residence in Eveleth and at Fairview Hospice in Hibbing for their compassion, loving care, support, and education during our mother's journey with Alzheimer's Disease. 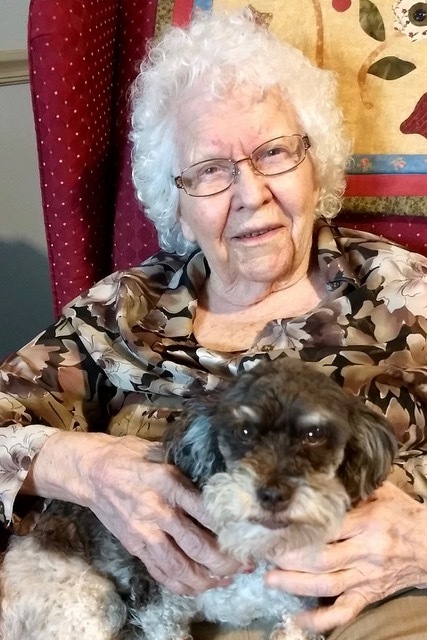 Memorials to honor Evelyn’s memory may be directed to Mayo Clinic Alzheimer’s Research, 200 First Street SW, Rochester MN 55905; or Fairview Range Home Care and Hospice, 1101 East 37th Street Suite 27, Hibbing MN 55746. Family services provided by Bauman-Cron, A Bauman Family Funeral Home in Virginia, MN. To share condolences online, please see:www.baumanfuneralhome.com.